LANSING – While most of the media focus is on the Asian carp invasion of Lake Michigan, other alien species are slipping into the Upper Peninsula. These are plants, not fish or animals, and several programs are fighting these threats to forests and parks. For example, the Upper Peninsula Resources Conservation and Development Council received a $150,000 grant through the federal Sustain Our Great Lakes program to add the U.P. to an information network for identifying and controlling invasive plants. Elizabeth Coyne, coordinator for the Central Upper Peninsula Cooperative Weed Management Area in Marquette, said plant species endangering the U.P. include garlic mustard, purple loosestrife, phragmites and Eurasian water-milfoil. Phragmites are a reed and pose a problem in the southern U.P. along the Lake Michigan shore, she added. Coyne said invasive plants tend to dominate the competition, jeopardizing native habitats. “They can either suppress other plants through chemicals that they release into the soil, or they just grow so fast that they have a competitive advantage,” she said. 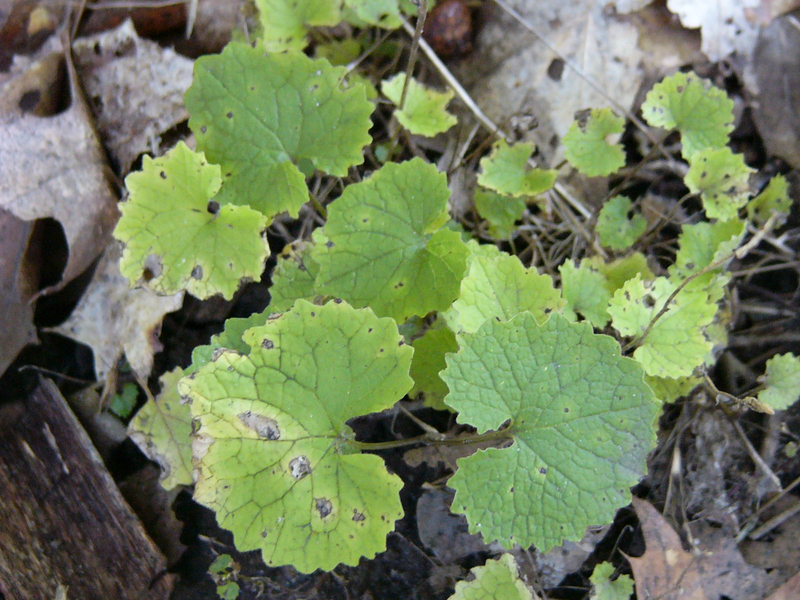 Garlic mustard, for example, sprouts earlier than many native plants – as soon as the snow’s gone, she said. Coyne said the goal of the management area isn’t to eradicate invasives because that’s impossible. Early detection, Coyne explained, is key to preventing invaders from overwhelming an area, and there are a number of tactics to keep them down. But the difficulty is that different plants respond best to different tactics, Coyne said. “Some species are invigorated by burning or can just grow back,” she said. Coyne said people spread invasive plants without knowing it. Darcy Rutkowski, executive assistant for the council, said much of the grant will be spent to train volunteers who will contribute information to the network. She said that their experience is valuable because there is little to no information about the U.P. on the current map of invasive species in Michigan. Rutkowski said many U.P. organizations are already combating invasives, and the network will help them to cooperate with each other. The council will sponsor workshops in the U.P. to help agencies collaborate, Rutkowski said. She said it’s important for agencies to work together because it’s easier if a united front fights invasives. Rutkowski said although only trained volunteers can put data into the network, the public can view its information on the Michigan Invasive Species Information website. The weeds management area’s Coyne said that a statewide network for identifying these plants and their locations would be extremely useful. Other groups benefiting from the federal grant program include the Grand Rapids-based Schrems West Michigan chapter of Trout Unlimited to improve habitat on the Coldwater River in Branch County and the Grayling-based Huron Pines Resource Conservation and Development Council for a project along Silver Creek in Presque Isle County. The others are Lake Superior State University to research piping plover, the Michigan Natural Features Inventory to fight phragmites along Lake Huron and the Ann Arbor-based Stewardship Network, which will coordinate volunteer efforts to remove garlic mustard across the Great Lakes basin. LANSING – Several Michigan lighthouse are seeking grants to keep their lights shining, as well as their roofs, windows and paint in ship-shape condition. While most lighthouses are in good shape, the people looking after them face a greater challenge than ever before, said Terry Pepper, executive director of the Great Lakes Lighthouse Keepers Association in Mackinaw City.